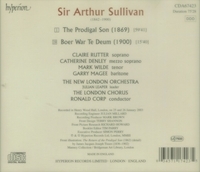 “In many ways a ‘missing link’ between Mendelssohn’s ELIJAH and Elgar’s THE DREAM OF GERONTIUS, THE PRODIGAL SON, one of just two oratorios by Sir Arthur Sullivan, was a staple in the choral repertory from its first performance at the Three Choirs Festival of 1869 until the First World War put an end to a world—musical or otherwise—where innocence was acceptable. 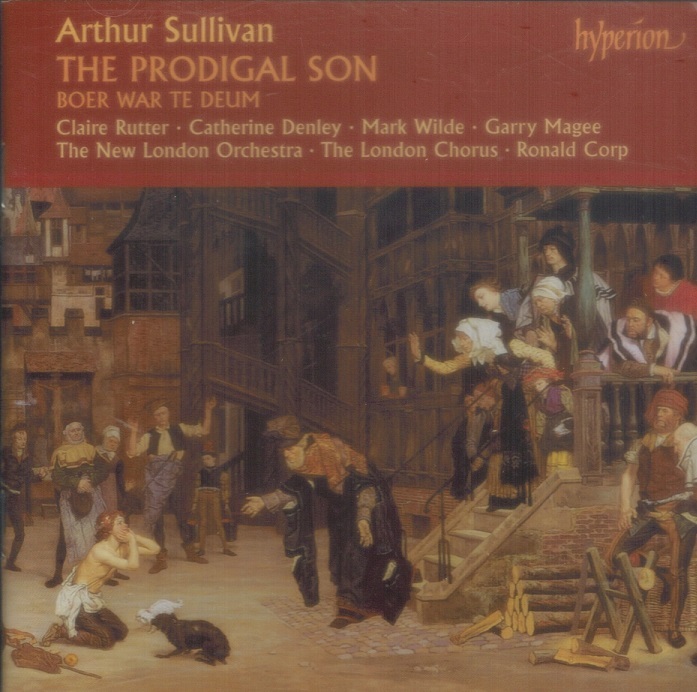 A relatively early work, the oratorio tells the story—from the Gospel of Saint Luke—in a style that is at once endearing and dramatic. 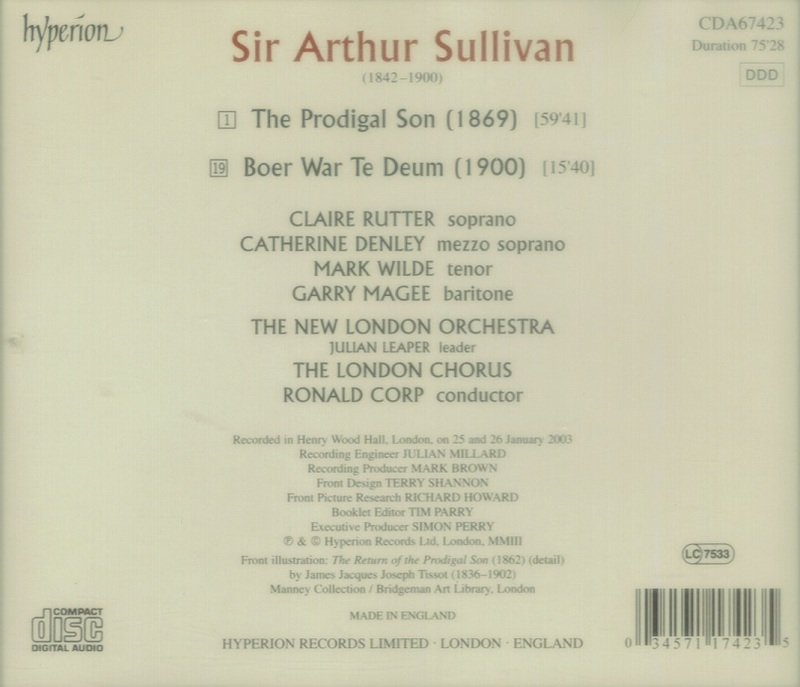 Commissioned in anticipatory thanksgiving for the conclusion of hostilities, the BOER WAR TE DEUM—Sullivan’s last completed work—had to wait two years for the outbreak of peace to allow its posthumous performance, and what a ‘crowd-pleaser’ it turned out to be: as Sullivan’s own hymn tune ‘Onward, Christian soldiers’ rang out, the columnist of The Daily Telegraph reported how the TE DEUM was ‘brought up from exquisite tenderness to a pitch of dignity and strength’—praise indeed justified for a work which enthralls singer and listener alike.